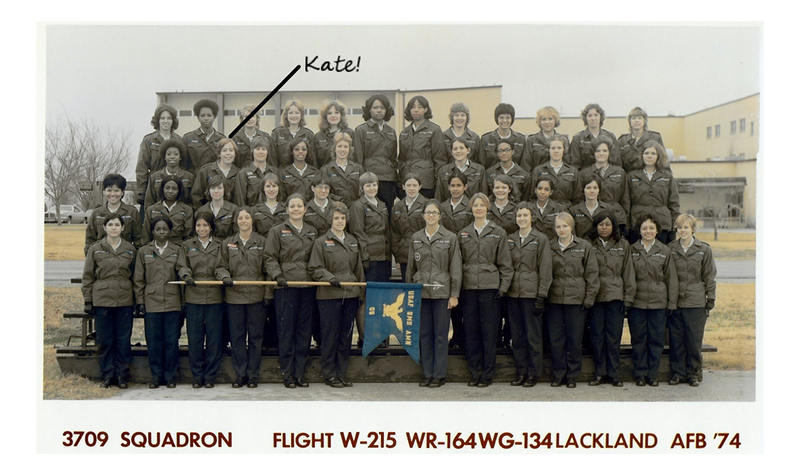 Airman Kate Kelly with her flight class at Lackland Air Force Base in 1974, just prior to getting assigned to George Air Force base. Kelly said she began to feel ill almost immediately upon arriving at George. She ultimately had three miscarriages and was never able to have children. While at George Kelly met her former husband, Ronald Holdren. He died in 2008 of multiple myeloma, a cancer that forms in plasma cells. 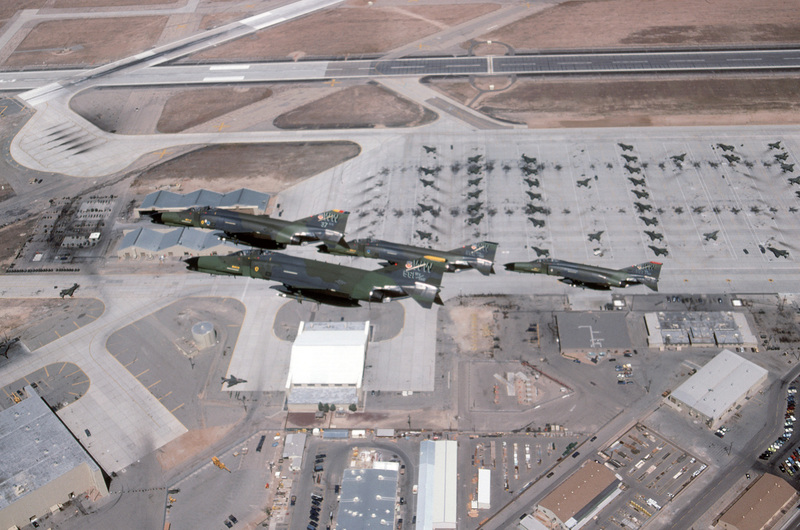 Air-to-air left side view of four F-4G Phantom II aircraft from the 37th Tactical Fighter Wing in formation over George Air Force Base. The aircraft with the multi-colored fin flash is assigned to the wing commander, the yellow to the commander of the 561st Tactical Fighter Squadron, the blue to the commander of the 562nd Tactical Fighter Training Squadron and the red to the commander of the 563rd Tactical Fighter Squadron. Each aircraft is armed with an AGM-45 Shrike missile. 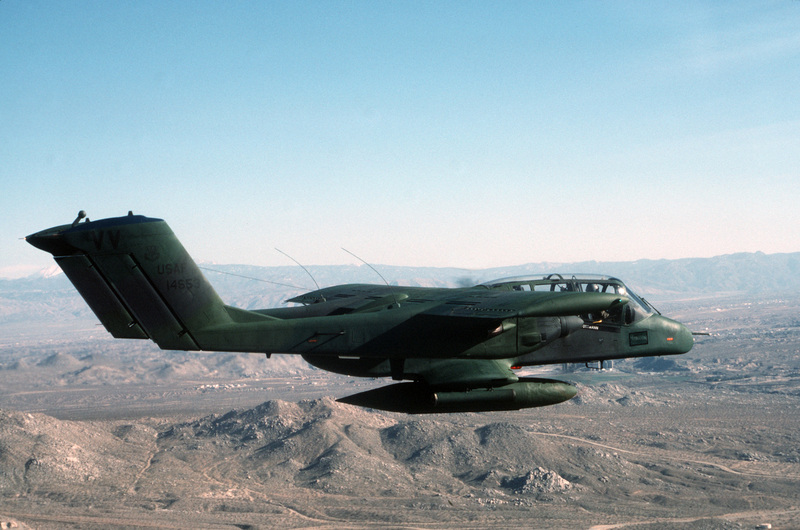 An air-to-air right side view of an OV-10 Bronco aircraft of the 27th Tactical Air Support Squadron over George Air Force Base. Lisa McCrea (formerly Lanham) saved everything from the birth of her daughter at George Air Force Base. She said she was more sentimental because of the horrific miscarriage she had experienced before this birth, where doctors discovered tumors in her uterus. She is one of scores of women who have reported having miscarriages at George. Photo courtesy Lisa McCrea. 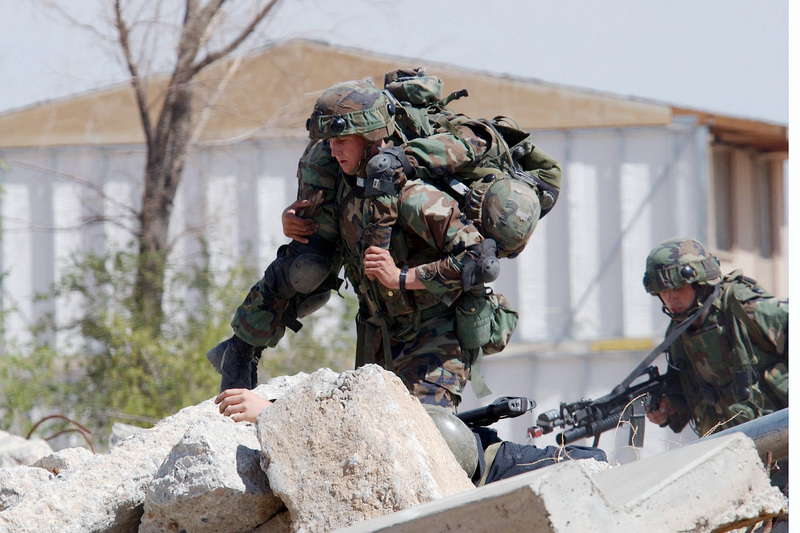 A Marine carries a wounded comrade to safety during an urban combat training demonstration being conducted at the Southern California Logistics Airport, formerly George Air Force Base, during the joint service experimentation process dubbed Millennium Challenge 2002. While the base was closed, the military continued to use it for training exercises. (RDO). The first time Kate Kelly heard the warnings about George Air Force Base, she was a 19-year-old airman just getting settled into the barracks. It was 1975. Another female airman sat on a bed opposite. She gave Kelly the rundown of the base. At the time, George was a hub of F-4 Phantom fighter jets and OV-10 Bronco reconnaissance planes. Kelly didn’t think too much about the warning and went to work, to offload boxes from arriving aircraft. “I started feeling the effects when I was on the flight line immediately,” Kelly said. She had urinary tract infections, bleeding and pain. The base clinic would analyze the infection, provide antibiotics. 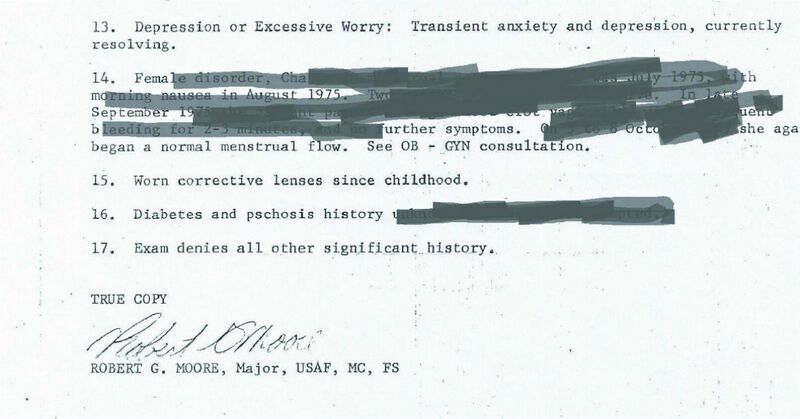 Kelly learned by talking to other women in her unit that the infections were common, and among the female airmen on base, so was her roommate’s warning: Don’t get pregnant at George. Here's what the data in DoD's water charts means for service members. She didn’t dig further as to why. Lisa McCrea lived at George from 1987 to 1991, right before it was closed. The 19-year-year old military wife was in her second trimester when she began to bleed. She’d miscarried. By the time her husband got her to the base emergency room, he had to carry her in, she’d lost so much blood. A terrible operation followed. The next day, a base doctor said her uterus “had more tumors than he’d ever seen,” said McCrea, now 50. In multiple interviews with women who served at George or lived there, they recounted similar stories. Sometimes the base clinic doctors privately warned them. More often it was passed word-of-mouth. Some remember getting a briefing as they in-processed. Kelly did get married at George, moved into family housing and got pregnant. She miscarried. The searchable database shows military families if their base is at risk. Kelly was never able to have children and miscarried at least twice more, before she had to have a hysterectomy in 2012. In 2008 her then-former husband died as a result of a rare plasma-based cancer. In 2012, Kelly had a full hysterectomy to protect against dangerous tumors in her uterus. It wasn’t until then she decided to look into her military health past. Kelly isn’t alone. Nearly 300 women who lived at or served at George have connected over Facebook with similar health issues. Ovarian cycts. Uterine tumors. Birth defects in their kids. Hysterectomies. Based on an informal poll, 94 women reported miscarriages among just the 300 who responded. The stories span three decades, from women who were there in the 1970s, ‘80s and ‘90s until the base closed. Now some of the women are questioning: Was it the water? George Air Force Base was selected for base closure in 1988 and shuttered in 1992, although the base was used as recently as 2002 for military exercises and a portion remains in use as the Southern California Logistics Airport Authority. It was designated a Superfund site by the Environmental Protection Agency in 1990; George is still in a long-term program to clean up 33 separate hazardous wastes left there. Underground plumes of old jet fuel are in the water supply. Industrial solvents used to de-grease and clean jets left trichloroethylen, a chemical that attacks the nervous system, blood, kidneys, immune system and heart, remain in the water and soil. Those are just some of the workplace hazards airmen there faced. In interviews, they described exposure to pesticides in the barracks and potential radiation exposure from working on the F-4’s nose cone. McCrea thinks it was a combination of the contaminants that caused her miscarriage and subsequent other health issues. In March, another known contaminant was added: the Pentagon reported to Congress that George Air Force Base one was of hundreds of military locations that had water sources testing higher than the Environmental Protection Agency’s recommended 70 parts per trillion maximum levels of perfluorooctane sulfonate or perfluorooctanoic acid, also known as PFOS and PFOAs. At George, among the 22 monitoring wells DoD sunk to test water sources, 14 came back with PFOA or PFOA readings that ranged between 87 and 5,396 parts per trillion above the 70 ppt limit. The man-made chemicals are found in everyday household items, but they are concentrated in the foam the military uses to put out aircraft fires. They have been linked to cancers, infertility and birth defects. George is one of several Air Force bases with concerned current and former communities now coming forward about base contaminants. Last week, the Florida Department of Health said it is collecting cancer reports from current and former residents who lived on or near Patrick Air Force Base. The Michigan Department of Health is holding regular meetings with residents who lived around the former Wurtsmith Air Force Base to address contaminated private water sources. DoD tested 67 wells there, one came back reading almost 3000 ppt over the recommended exposure. “The sampling data strongly indicates that the contamination is the direct result of activities occurring on the Air Force base,” the city told residents in a February notice. Officials with DoD’s Health Affairs Office stressed that until EPA showed interest in PFOS and PFOA around 2012, it had not had any indication of risk to forces or the bases. The registry would look like the VA's "burn pit registry" and be used to track illnesses in military families exposed to water contaminants. Sen. Jeanne Shaheen, D-N.H., who represents another impacted base, Pease Air Force Base, got $10 million approved for nationwide study on health issues caused by exposure to the compounds in the 2018 defense bill. Another $10 million is included in the 2019 defense bill, which just passed the Senate. The full bill still needs to be reconciled with the House version then signed into law by President Trump. If signed into law, the bill would also establish a national registry for families to report exposure to the compounds, much like former Iraq and Afghanistan veterans now register to report burn pit exposure to the VA.
That’s what Denise Torri unexpectedly found when she began a web search about three years ago. It was near Veterans Day, and she was nostalgic. She wanted a picture of her OV-10 Bronco to post. 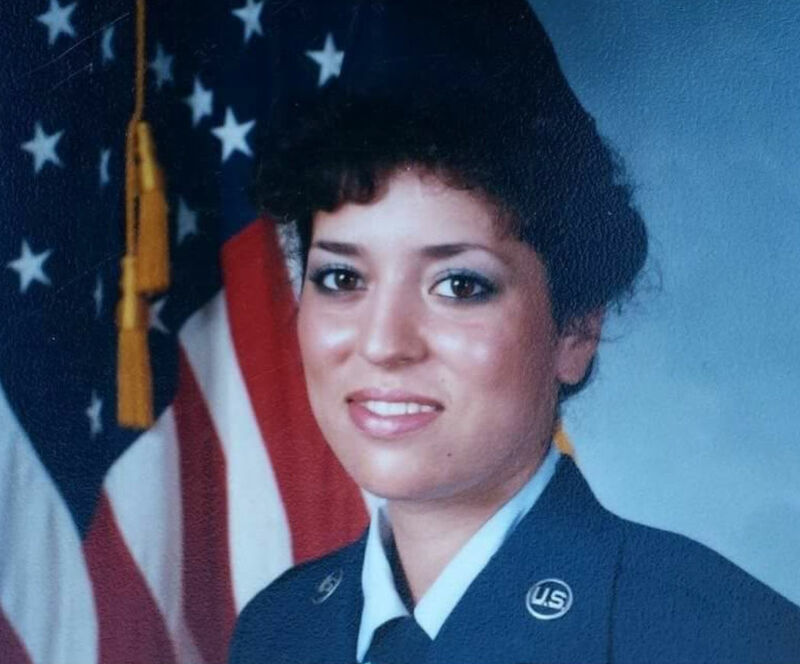 Torri and her husband served at George together from 1986 to 1989, she was an aircraft maintenance scheduler for the OV-10s, he was a weapons armament specialist. They got married in 1987 and got pregnant soon after. She miscarried. A while after Torri’s miscarriage, her supervisor, a staff sergeant, asked her for a personal favor. Could she please go to his home and clear out the nursery? 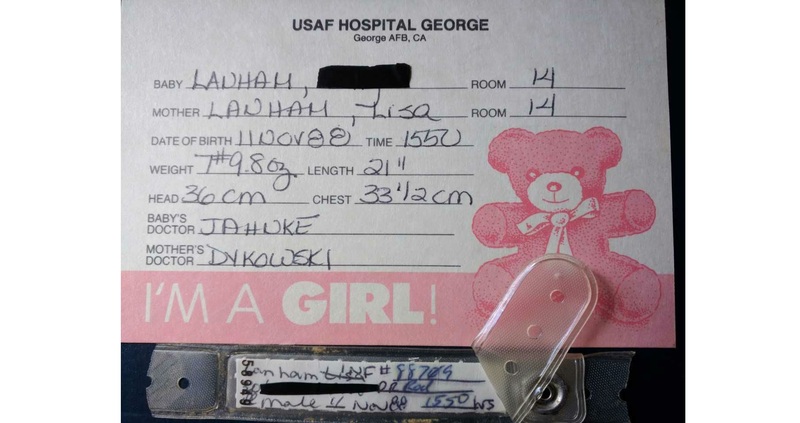 The staff sergeant’s wife had just miscarried their late-term child. “It was just a weird feeling, taking the crib down,” Torri said. Torri’s next pregnancy was successful, but was followed by another miscarriage. 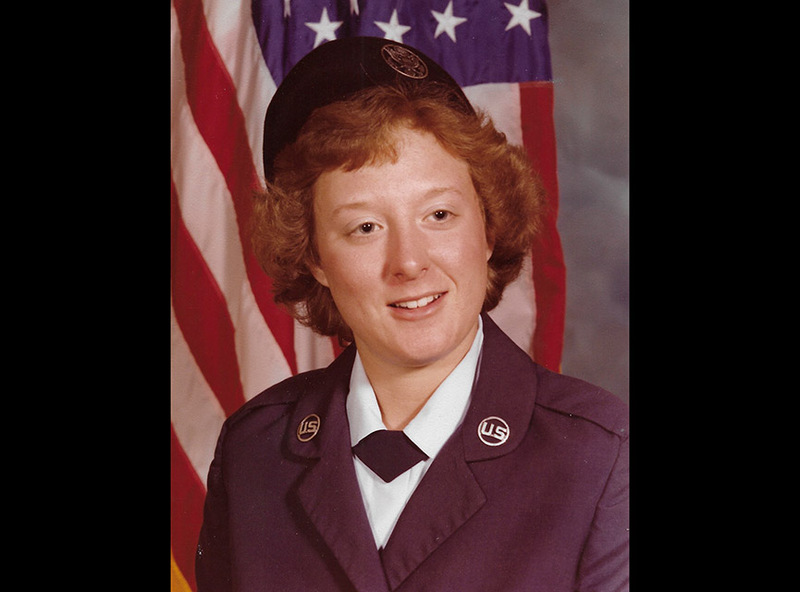 Lorie Clark and her husband served at George from 1981 to 1983; both were aviation repair technicians who’d met in tech school. It was a base doctor who warned her about pregnancy and the high rate of miscarriages at George, “but he didn’t give me any indication on why,” she said. Clark initially had infertility issues, but birthed two daughters while stationed at George. Both daughters have had miscarriages of their own and all three women have a variety of chronic illnesses. So Clark went looking for her medical past. Now Torri is angry at the idea that the base knew for decades that there was danger but did nothing. In the last few years she’s sought her medical records from George to file VA claims. “They had purged everything,” she said. McCrea can’t get her records either. Kelly has a file with about 300 pages. But the medical records from George carry no record of the pregnancy. Some pages are redacted with marker lines of blackened sentences. Wiesen said it would be unusual for a service member to get redacted records of their own files. Moving forward, the department is ready to assist in any future studies, said Steve Jones, a director in the health affairs office. “What we would do at the department is make our resources available to the agencies that would have an interest in studying the effects in contamination, not only at George Air Force Base but any base,” Jones said. As more information on what was in the water becomes public, McCrea thinks the number of military communities who will start to question what they were exposed to will continue to grow. “I am in contact with several people from different bases,” she said. This story has been updated to reflect that McCrea’s miscarriage occurred in the second trimester, not third.